SDSU football players prepare for their match against Navy in the Poinsettia Bowl. Courtesy of Go Aztecs Facebook. It’s another weekend, another definitive win for San Diego State Football after defeating Utah State 40-13. It’s the fourth win in a row for the Aztecs and it keeps them undefeated in Mountain West play with a 4-0 record. The Aggie’s drew first blood, scoring the first touchdown of the night just under seven minutes into the game. 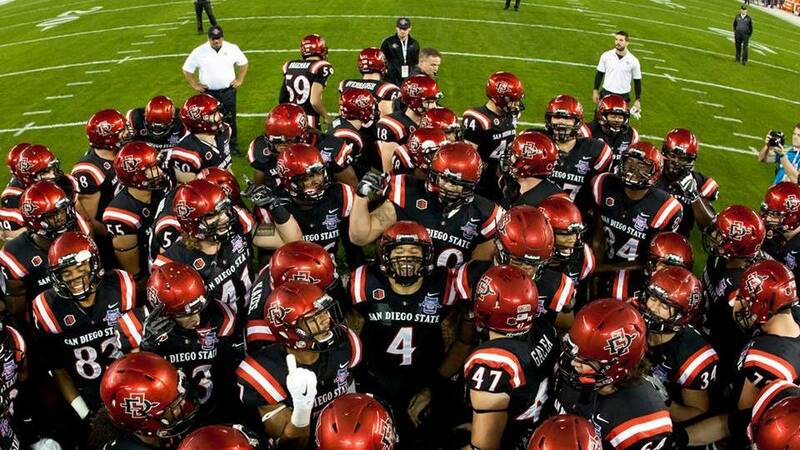 However, SDSU would go on to score 40 unanswered points before USU’s second touchdown in the fourth. While Heisman-hopefull Donnel Pumphrey did run for 223 yards, the biggest impact from a running back could arguably go to Juwan Washington. The freshman ran for 137 yards, the first time this season he’s had more than 28 yards in a game. He added two touchdowns as well. Pumphrey continues to climb up the all-time NCAA rushing ladder though, catapulting himself to number five in history. The Aztecs head to Hawaii next Friday for their next matchup.